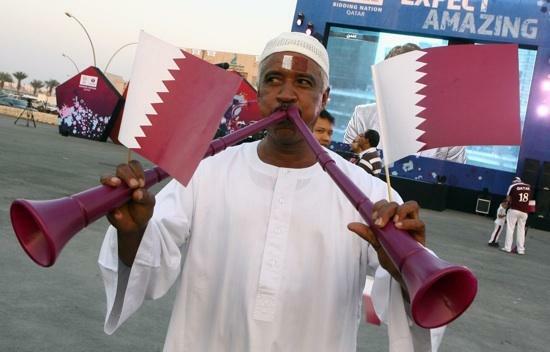 A Qatari man displays the national flag and blows on a vuvuzelas, at Doha souk where people gathered to hear FIFA's selection on World Cup sites for 2018 and 2022, Dec. 2, 2010. Qatar won the 2022 bid. 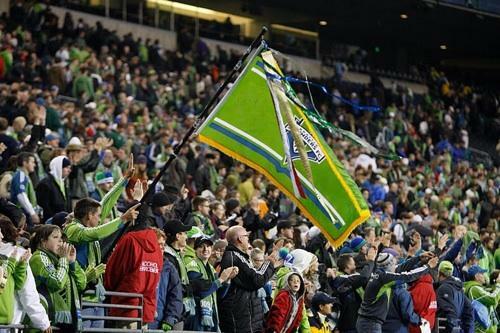 Seattle Sounders fans at a recent match. Many waited anxiously for news of the World Cup bids for 2018 and 2022. The U.S. was not chosen by FIFA directors. If the U.S. had won the bid, Seattle was among 18 cities that would have hosted games. Russia was named as host for the 2018 World Cup by FIFA, the governing world football (soccer) body. Russia was chosen over England and joint bids by Spain-Portugal and Netherlands-Belgium. Qatar was competing with the U.S., Australia, Japan and South Korea. The next scheduled World Cup will be held in Brazil in 2014. South Africa hosted the premier event earlier this year. Local fans were clinging to hopes of a successful U.S. bid. Seattle has emerged as one of the most popular soccer cities in the nation. 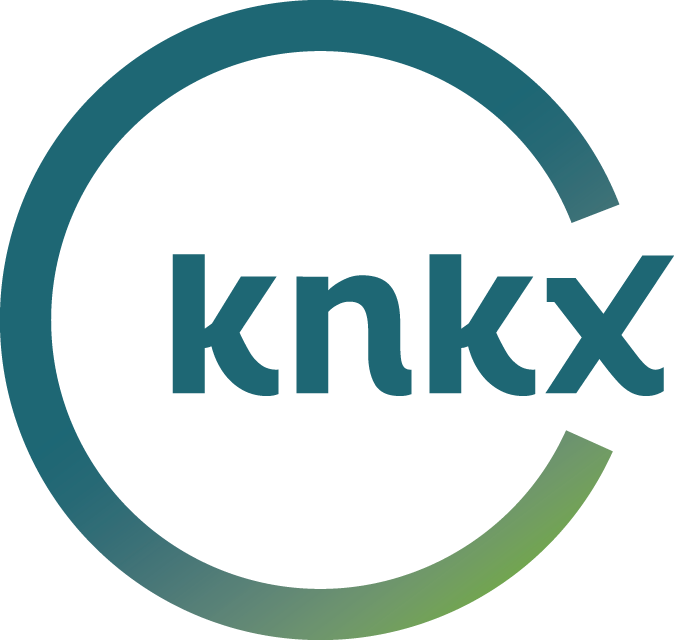 The Sounders have set Major League Soccer records for attendance and season ticket sales.